We all have heard the phrase, ‘Diamonds are a girl’s best friends’. We can say safely to some extent that women love diamonds. Especially, women love them more when they can wear them embedded in their engagement rings. A shiny and glittery token for the rest of their lives. Many people opt for a custom engagement ring. However, it is important to take some necessary steps before you buy one. 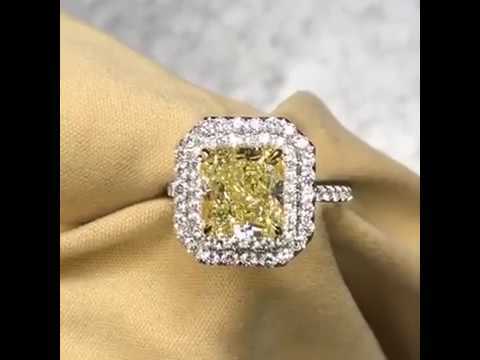 How to Select the Perfect Diamond? Diamonds come in different shapes. This shape is supposed to be analysed as seeing the diamond from above. Round, Princess and Radiant are some examples of shapes. Different shapes have their individual features and selecting depends on what shape catches your eye. It might be unknown fact to you if you have taken an interest in diamonds for the first time, that no diamond is perfect. They all have imperfections and the diamond with least of them get high clarity grade. Diamonds are cut in specific ways to reflect light. The more beautifully they reflect light, the shinier they will look. A cut of a diamond determines the brilliance and amount of sparkle in it. Diamonds do come with colours. However, it is the lack of colour that is the indicator of a good diamond. A diamond white in colour, having a little colour or no colour get high grades for quality. • The jeweller may show you with some options including different cuts. You are supposed to choose the best cut. However, this may not be the best cut available but just the best available from your jeweller. • Deeply cut diamonds are actually poorly cut ones. The reason is that these hide more of its carat weight in its depth than width. A customer might end up purchasing a 1 carat which in fact is 0.90 carat. • Many jewellers offer fairly cut than well-cut diamonds. Fairly cut diamonds are less expensive which means that the jeweller’s inventory will turn more quickly. Therefore, well-cut diamonds are rare to find in jewellery shops. Some other mistakes include analysing the diamond after it has been set. Many people buy diamonds online which means they don’t actually get to see it. Don’t buy diamonds online without seeing them. A diamond is very difficult to analyse after it has been set. The flaws will be easily hidden under the ring prongs and colour will be affected by reflections from the setting. As stated earlier, diamonds are investments. Many people buy diamonds only once or twice and not that educated about the buying process. Therefore, it is recommended to take advice from an expert. For more information on engagement ring designer Toronto, visit designbysevan.com.